If you are not a big city or beach fan, and are looking for a voyage into Brazil’s most interesting nature destinations, this one is for you. It combines Bonito, the Pantanal and the Amazon, all in one trip with fresh water snorkels, the most exciting safaris in the country, and one of the most preserved areas of the largest Rainforest in the World. 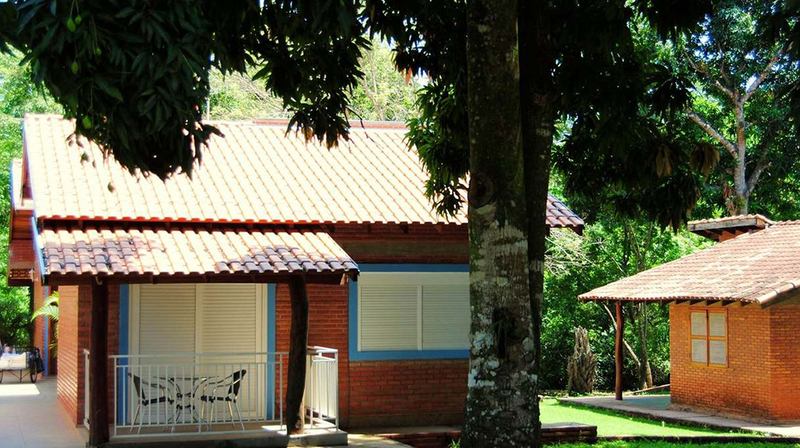 Drive or fly from Campo Grande airport towards or Bonito, the most well organized ecotourism destination in the country. This remote area of the country has options for all levels of travellers from children to seasoned adventurers – cave diving, white water rafting and incredible fresh water dives. The day begins with an emblematic visit to the Gruta Azul, or Blue Cave, with its crystal clear waters before heading to the Mimosa Estate, with its many waterfalls and treks along the forest. Start the day with a floatation on Rio da Prata – a river with crystal clear waters, from where you have the feeling of being inside a natural aquarium. This is the most famous activity in Bonito! Lunch will be served there, before you head to Buraco das Araras (“the macaws hole”), a curios geologic formation where many macaw species call home. From Bonito local airport, fly aboard a small single engine plane to Boca da Onça Farm, by Serra da Bodoquena National Park for a few hours trekking along more than 10 waterfalls, one being the highest of the state. Hop back on board your private plane and start your airsafari over the Pantanal ecosystem spotting the many species of animal from the sky. 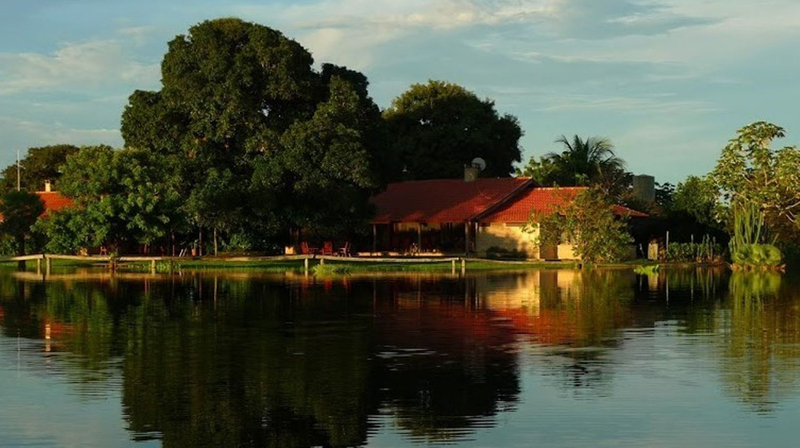 A stay at Barranco Alto, in the Pantanal, will make you discover the richest wildlife region in the Americas through horseback riding, open vehicle safari, boating, canoeing, hiking, fishing, campfires, photography workshops, cattle mustering, astronomy sessions and, of course, bird watching. There are also a few night activities, as lectures about local wildlife, and observation of night animals. Full days to explore the Pantanal. - Board again a single-engine plane and head back to Campo Grande from where you will take a commercial flight to Alta Floresta. This is where the journey to the Amazon begins! 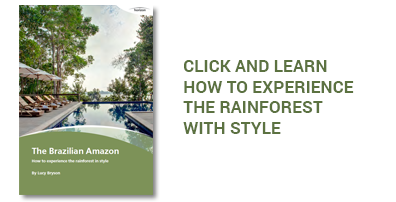 A car and boat journey will take you Cristalino Jungle Lodge, nested in the middle of a Private Rainforest Reserve in the Southern Amazon and one of areas of richest biodiversity in the planet. Here you will have in average two activities per day, such as: canoeing, trails, wildlife spotting, boat trips and bird watching. Although the tours are similar to the Pantanal, the fauna and flora are completely different and equally amazing! Full day to explore the Amazon. After lunch, start your way back to Alta Floresta, where you´ll board your flights to connect with your departure. Barranco Alto has a rustic but alluring farmhouse style, with only four suites and personalized service. Not accessible by land most of the year, this farm is truly exclusive, ideal to observe wildlife in an extremely preserved region. A perfect balance between authenticity and comfort. 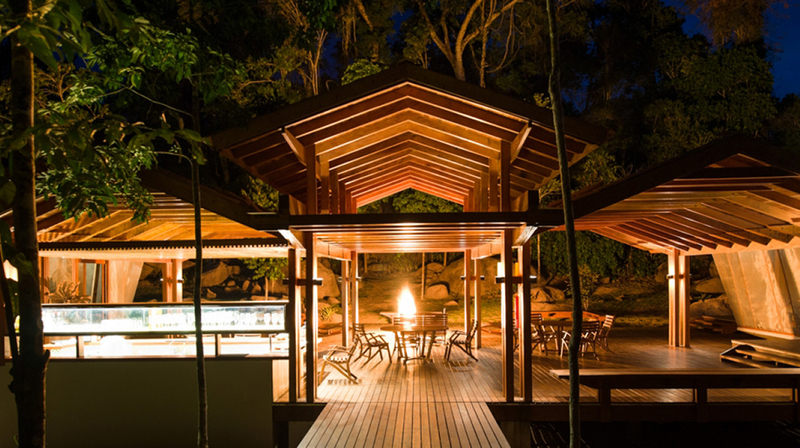 Located in the heart of the Southern Amazon, the Cristalino Lodge is perfect for wildlife observation, with enjoyable activities and great guides. Its bungalows are built in harmony with nature, but very modern and sophisticated.